Kingston recently announced the expansion of their USB 3.0 flash drive lineup with the release of the DataTraveler Elite 3.0. 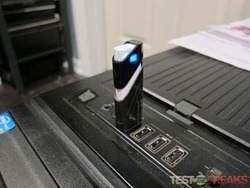 This flash drive is an economically priced USB thumb drive that takes advantage of USB 3.0’s faster transfer speeds. As more USB 3.0 enabled computers hit the market the need for flash drives to take advantage of these connections becomes more apparent. The DataTraveler Elite 3.0 is a capless drive, which means folks like myself who invariably lose their caps can rest easy. 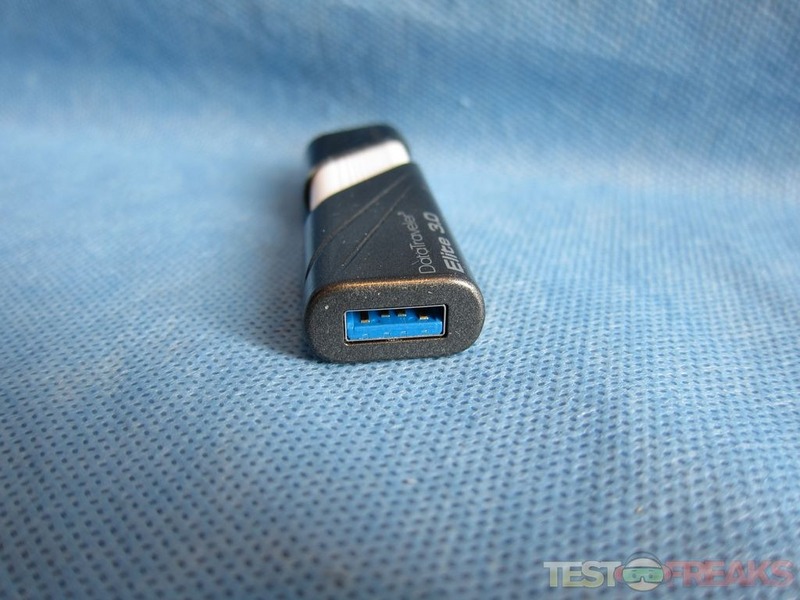 With USB 3.0 speeds of 70MB/s read, 30MB/s write it should be fast enough for most users. The Kingston DataTraveler Elite 3.0 arrives in a clear plastic package with the drive displayed in the center of the white cardboard card bearing the Kingston logo. On the back is a compatibility table for the drive and the three major operating systems. 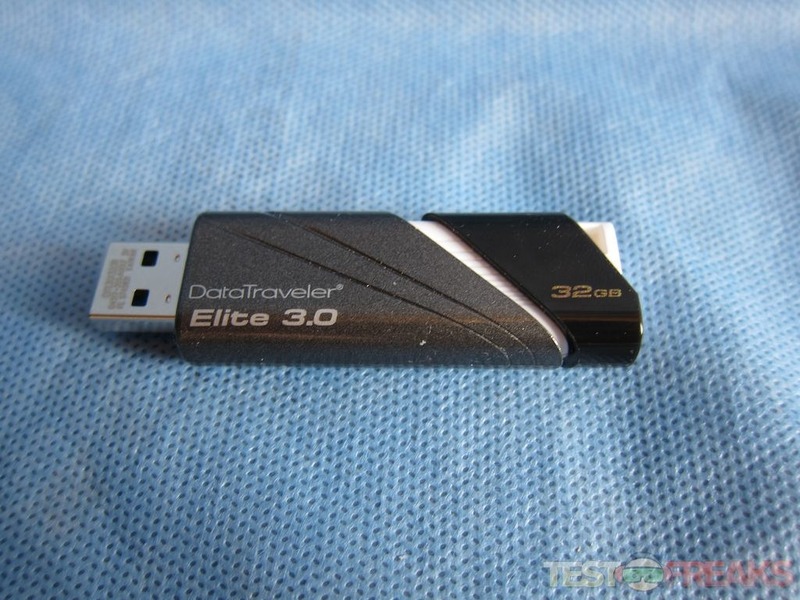 The DataTraveler Elite 3.0 is designed to work at USB 3.0 speeds with Windows versions from XP (SP3) up to Windows 7 and Linux 2.6. The drive is also recognized on OS X (10.5 and up) as a USB 2.0 drive unless there is an add-on USB 3.0 solution such as a PCI-e or Express Card. Inside the package we find just the drive itself. 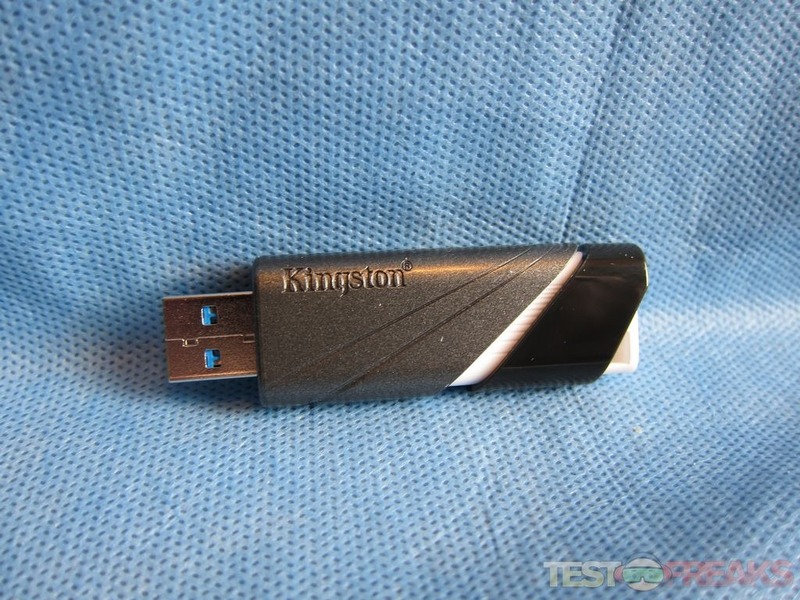 Usually Kingston provides a black lanyard with their USB flash drives but this model did not have one in the package. 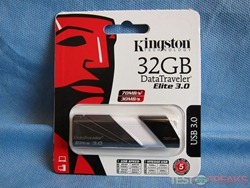 Kingston offers the DataTraveler Elite 3.0 in three capacities – 16GB, 32GB and 64GB. It has advertised speeds of 70MB/s read, 30MB/s write using USB 3.0 and 30MB/s read, 25MB/s write with USB 2.0. For today’s review we received the 32 GB version. 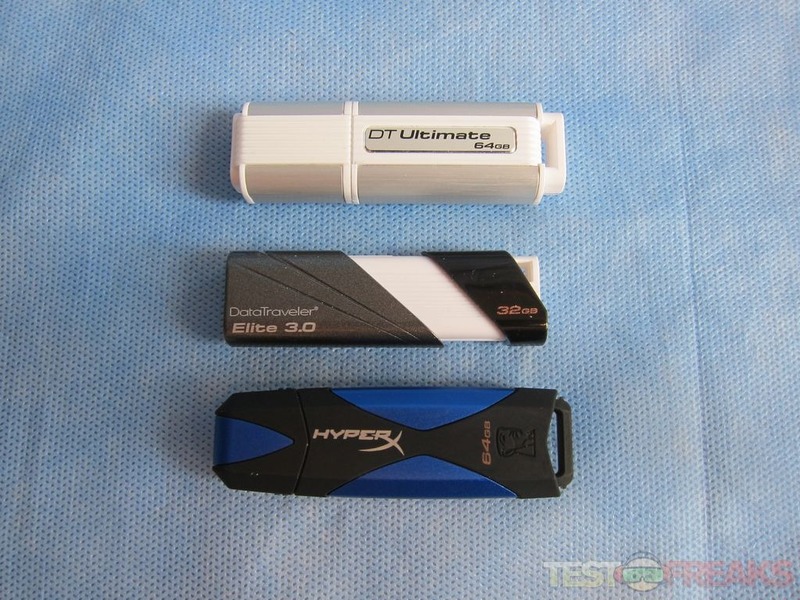 The previous Kingston USB 3.0 drives I reviewed were the DataTraveler Ultimate 3.0 and DataTraveler HyperX 3.0 that were thick and solidly constructed. The DataTraveler Elite 3.0 is composed of plastic and seems less solid than those other two models; not that it is poorly constructed it just feels less solid. 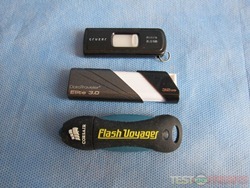 Here are some size comparisons against the Kingston USB 3.0 flash series and some standard USB 2.0 flash drives. It is composed of slate grey, piano black and white plastic measuring 2.7185″ x 0.8504″ x 0.437″ (69.05mm x 21.6mm x 11.1mm). 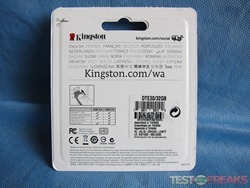 The bulk of the body is the slate grey component, which has “DataTraveler Elite 3.0” printed in silver letters on one side and an embossed “Kingston” on the other. The white section acts as the “rail” for opening and closing the drive and has several linear grooves in the middle of the body that appear to be for style not function. A single groove on the side of this white area seems designed for sliding the drive open or closed. On the black segment the drive capacity is printed in gold lettering. When the drive is connected a blue LED in this area reveals drive activity. 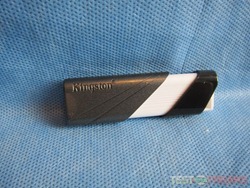 Pulling the black segment towards the grey segment will reveal the USB connector. Missing from this flash drive is a cap which is a nice feature although the end of the USB connector does remain exposed to the outside world. 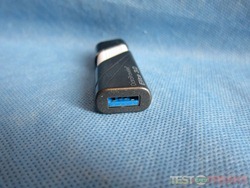 Since this is a USB 3.0 drive, the connector is blue unlike the black of USB 2.0 drives. Kingston’s DataTraveler Elite 3.0 USB Flash drive is designed based on the USB 3.0 standard and is an economical choice for fast, multi-stream data transfer. With USB 3.0 speeds up to 70MB/s read and 30MB/s write, it’s ideal for desktops and notebooks with USB 3.0 ports and also reduces data transfer times on system with USB 2.0 ports. 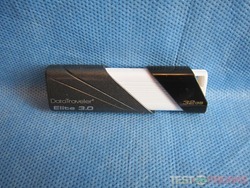 DataTraveler Elite features a convenient, tri-colored, capless design with a slider. 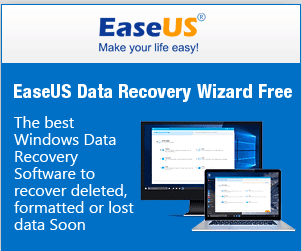 The DataTraveler Elite 3.0 comes preformatted in FAT32 making it easily recognized by Windows 7 using either USB 2.0 or USB 3.0 connection. 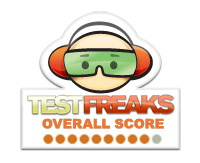 For testing I used a Core i7 2600K on an ASUS P8P67 Pro which has built in USB 3.0 ports. 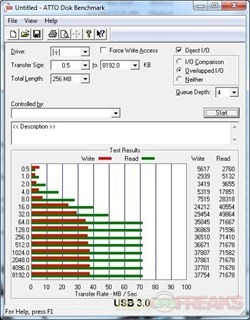 For benchmarking ATTO Disk Benchmark 2.46, Crystal Disk Mark 3.0.1 x64, and DiskBench 2.6.2.0 were employed. Starting with ATTO using the USB 3.0 interface we see speeds of 70 plus MB/Sec on reads and in the high 30s on the writes. 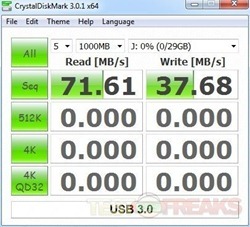 With the USB 2.0 interface the read is just below 35 MB/sec and just above 25 MB/sec on writes. Next we look at Crystal Disk Mark. Here we see USB 3.0 speeds of 71.61 on reads and 37.68 on writes using the Sequential benchmark. 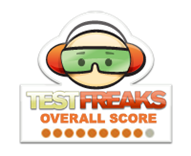 The USB 2.0 benchmark matches closely to ATTO’s results with reads of 34.6 and writes of 26.73. The final benchmark run was DiskBench which is more of a real world test as it uses files and folders off the user’s PC for testing. 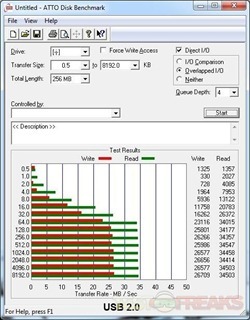 The Copy File bench used with a 2 GB file had a transfer rate of 34.303 MB/sec, while the Read File bench showed an impressive 127.823 MB/sec when reading a single file and 76.555 MB/s when reading two files that are threaded. Kingston’s first budget USB 3.0 flash drive is a solid performer meeting its advertised speeds without any issues. 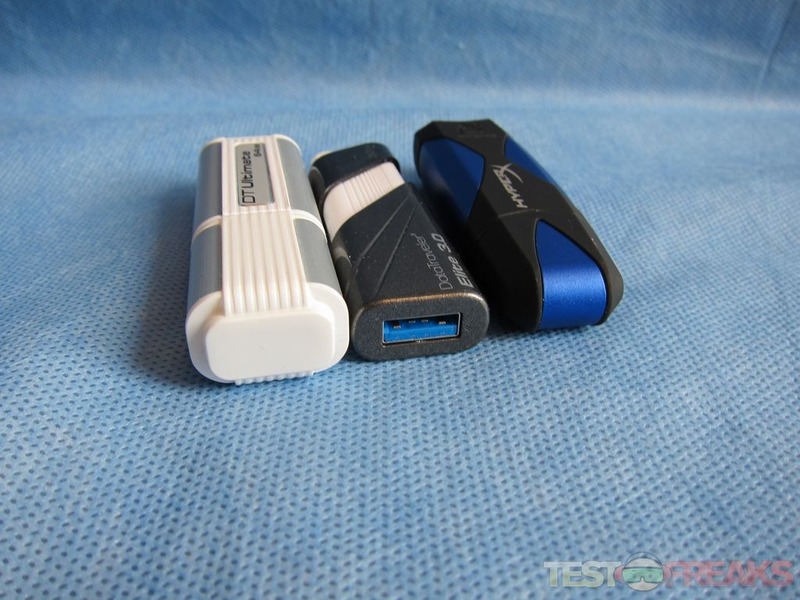 While the DataTraveler Elite 3.0 is not as fast as it’s predecessors from Kingston it does pretty well compared to the older USB 2.0 standard flash drives. The drive is well made with a capless which means no lost caps for the owner. Currently it retails for around $50 at Newegg making it one of the fastest USB 3.0 drives at its price point. Card.–> Can someone further explain this? I have a Mac OS X10.8, how can I convert it so my mbp can recognize as a USB 3.0 drive? Did you guys know, that USB Secure can lock and password protect virtually any USB thumb/flash drive as well as HDD Drives. You can carry private data on portable drives without worrying about anyone gaining access to your sensitive files and folders, USB Secure is dynamic in the sense that you can view all your protect files in a virtual drive, meaning your data is automatically password protected in any case. Simply go on Google and search for ‘USB Secure’.